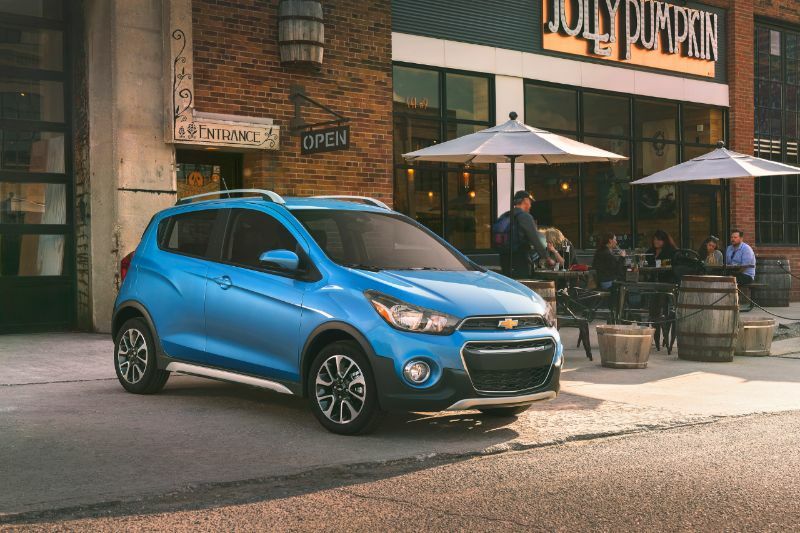 If you need an affordable auto, a subcompact model like the 2018 Chevrolet Spark is a good choice This is especially true given its hatchback body style that delivers added interior space. This auto has space for four adults, an impressive infotainment system, and modern active-safety features. There are three trims to choose from for the 2018 Spark. You can opt for an automatic or manual transmission depending on trim. When you first look at the 2018 Chevy Spark, you will spot a very small five-door hatchback that has improved styling over the first generation. While the early Sparks looked somewhat toy-like, this isn’t the case for the 2018 version. The snub nose is more substantial, and the sheet metal gives it some flair. The front features elliptical headlights that wrap from the front corners almost to the windshield. There is also a horizontal bar dividing the grille. The interior of the 2018 Spark features a traditional instrument cluster with your choice of a small-screen display or dot-matrix between the gauges. The center stack includes a standard 7-inch touchscreen with MyLink infotainment. This feature is more expected from larger autos, helping you forget that the Spark is so small and affordable. To make up for the low pricing of the Spark, the hatchback does have mostly hard, black plastics. Chevy does not even make a claim that the Spark can seat five, but reviewers agree that four adults will fit inside comfortably. The front seats are supportive and reasonably comfortable. The rear-seat passengers may feel slightly squished in terms of leg room, but they will love the headroom. The cargo area of the Spark is relatively small. It’s best for soft luggage. In terms of features, every 2018 Spark gets OnStar featuring 4G LTE connectivity plus Bluetooth. All but the base trim also have power windows and locks, cruise control, and steering wheel audio controls. They also have keyless entry, theft-deterrence, and SiriusXM Satellite Radio. The highest trim throws in leather on the steering wheel, rear park assist, some exterior chrome trim, and an enhanced digital driver information display. You can also configure the Spark to include a power sunroof and advanced safety. There is also a package called Spark Activ. It increases ride height slightly, adds roof rails, and gives you fog lights along with some other changes. 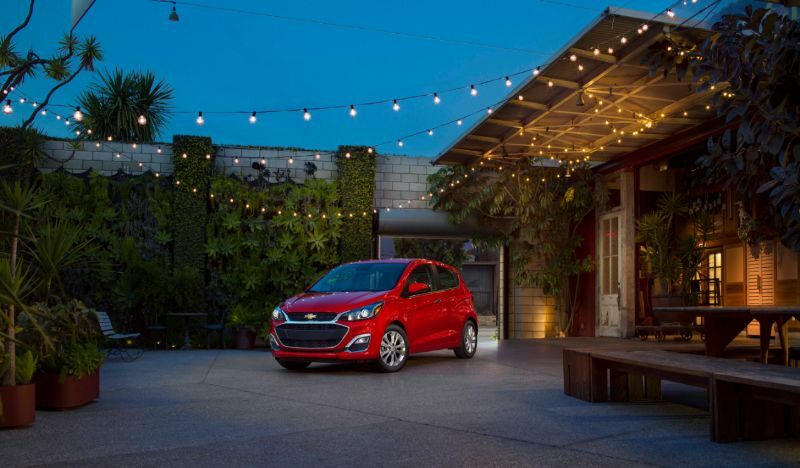 Since the 2018 Chevrolet Spark is so small, it does not need much power to get it moving. As such, Chevy uses the smallest engine the company offers in North America within this hatchback. The 1.4-liter inline-4 engine has 98 horsepower and lets you pick from a five-speed manual transmission or a CVT. 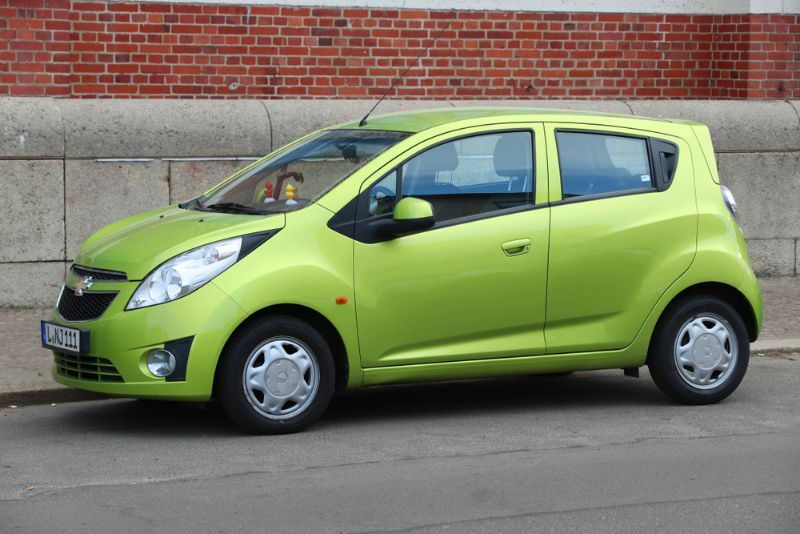 In either case, the Spark has front-wheel drive and 33 mpg combined. This is a figure that will help save you even more money as you drive around town. This engine is enough to get the Spark moving, but you will have to push it to keep up with faster traffic in the suburbs. The Spark shines when it comes to city driving. The 2018 Chevy Spark has some surprising safety features for an auto with its starting price. It comes standard with a rearview camera, rear parking sensors, and ten airbags. The last two of these make it highly competitive on the safety front. Higher trim levels can even include forward-collision warning, blind-spot monitoring, and lane-departure warning.